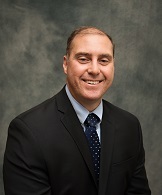 Among his various roles prior to joining PCDIC, Mr. Losada served as a budget analyst with Blue Cross Blue Shield of Arizona and the Arizona Department of Health Services, senior financial analyst with Chicano’s Por La Causa and Honeywell, and Chief Financial Officer of Friendly House. He also served over 20 years as a Supply Corps Officer with the U.S. Navy Reserve. A native of Phoenix, Mr. Losada holds a Bachelor of Science degree in Accounting and a Master of Business Administration degree from Arizona State University. He is a licensed Certified Public Accountant in the State of Arizona and a member of the American Institute of Certified Public Accountants. He also holds the Charter Global Management Accountant (CGMA) designation from the American Institute of Certified Public Accountants and the Chartered Institute of Management Accountants.